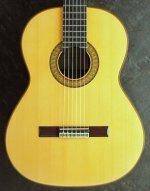 Classical Guitar World: Buy and Sell Spanish or Flamenco Guitars! 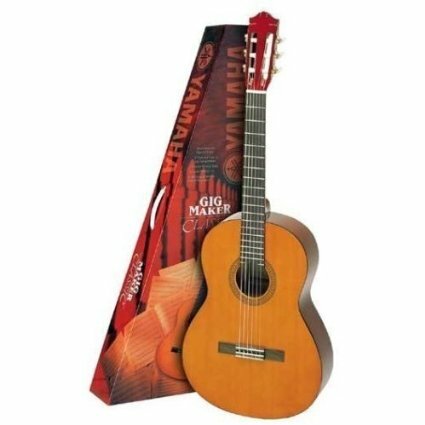 Do you love the sound of classical guitar music, or collect acoustic or flamenco guitars? This site is for you! If you've listened to some of the master acoustic guitar players, such as Andres Segovia, John Williams and Julian Bream, or admired the workmanship of a great guitar builder, then you'll already be hooked on this beautiful instrument. If you're a player, then you know that it's easy to pick up a guitar and learn to play a bit, but it takes dedication to play it well. 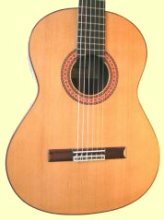 The classical or Spanish guitar represents a lifetime fascination for those of us who fall under its spell. They sound beautiful (in the right hands), and they look wonderful if they're well-made. 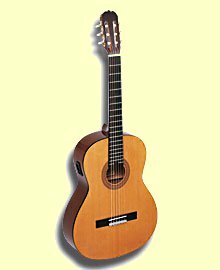 This site is for everyone who plays, builds, teaches and appreciates the classical nylon-strung guitar. Whether you are a seasoned aficionado or just starting out, we've got something for you! Don't hesitate to let us know what you'd like to see on the site. Just complete the contact form that appears on most of the pages. Let me know about guitar players you've heard, guitars you've played or teachers you admire. Let's give them some publicity. Who's Your Favourite Classical Guitarist? Why not give a classical guitarist you admire the exposure they deserve? It's a great way to show how much you appreciate their talent and hard work. "Your Space" is a simple to use place for you to share your views on any classical guitar player you've seen in concert or heard on record. Just go to Favourite Player, fill in the text block, upload an optional photo with the simple browse button, and you'll automatically create a page dedicated to your chosen guitarist. Go to Favourite Guitar and tell us about the guitar you play or the guitar you would love to own. This will build into a useful information resource for beginners and experienced players alike who might be looking for a new instrument. If you've got a used guitar (classical only) to sell or if you are an independent luthier, you can use our free ad service to sell your instruments. Take a look; it's simple to use, and much better than any classified ad service. You've got room for a full description of the guitar and a photograph. If you are an individual or a dealer with a used guitar to sell, you can fill out your free ad here. In an age when the top steel string guitar makers are outsourcing much of their production to the Far East, it's remarkable that the Spanish makers still maintain their traditional workshops and factories. It's even more remarkable that they produce instruments most of us can afford without taking production out of Spain. I won't dwell exclusively on the Spanish guitar, as there are some excellent guitar builders in Japan, the UK, USA, South America and Europe. I'll be keeping up with developments from all corners of the world. Get started by clicking one of the links below, or use our search function to find exactly what you're looking for.